Vadodara ACB team caught two police constables for accepting a bribe of 20,000 for releasing a truck from Karjan toll plaza. They asked the bribe from the complainant to release the truck loaded with buffaloes and calves. 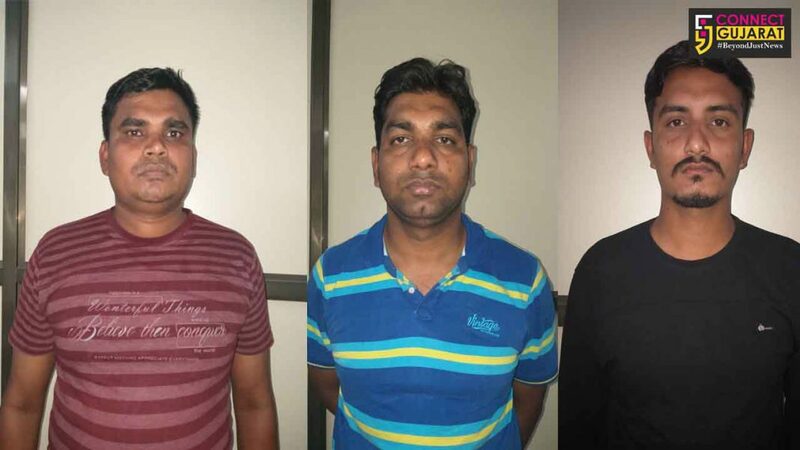 As per details the accused Sandip Bhatt, police constables Sanjay Machi and Vikram Kaptan asked for bribe of 30,000 from the complainant to release his truck from Karjan toll plaza. The complainant gives 10,000 and promise to handover the rest of the amount on Tuesday 16th April. He approached the ACB and based on that PI S.P. kahar and his team laid a trap at Moti Mahal hotel at Karjan. Sandeep Bhatt came to collect the money from the complainant and caught red handed by the team already waiting there for the accused. He then called both about the money and they give their nod. The team later arrested both of them in the matter and further investigating.